Ideon helped Union Settlement realize the promise of a singular neighborhood. 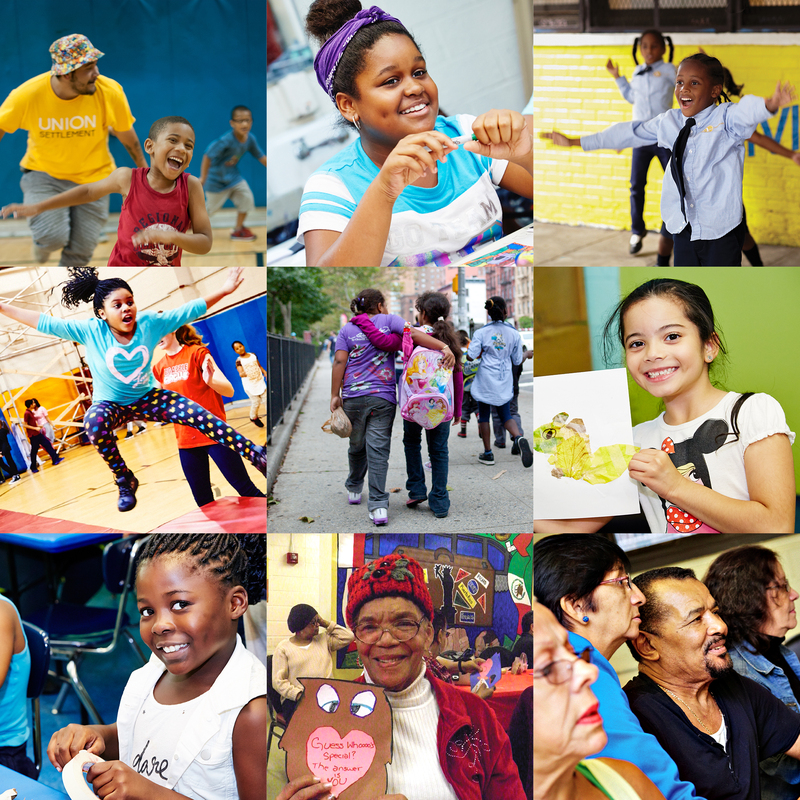 The Organization—Comprising 8 communities passionately supporting underserved residents of East Harlem, Union Settlement Association has served this extensive community since 1895. The Challenge—Refocus the brand to drive visibility, philanthropy, and effectiveness in the face of significant government budget cuts. The Insight—The power of branding to move from positions of weakness to positions of strength. Based on our analysis we revealed the Union Settlement’s focus needed restaging from poverty to empowerment, to enable it to punch above its weight and counterbalance government cuts. Conversation: Build US for effective community support that transcends from poverty to empowerment. Clarity: Establish US as the go-to community partner empowering East Harlem vs. a myriad of nonprofit and government service agencies with individual service delivery imperatives. Currency: Brand US leaders as the advocates for 26,000 underserved residents of East Harlem vs. its prior quiet voice. Culture: Train US to educate and give life to the entire community, not just to its own leadership and board. 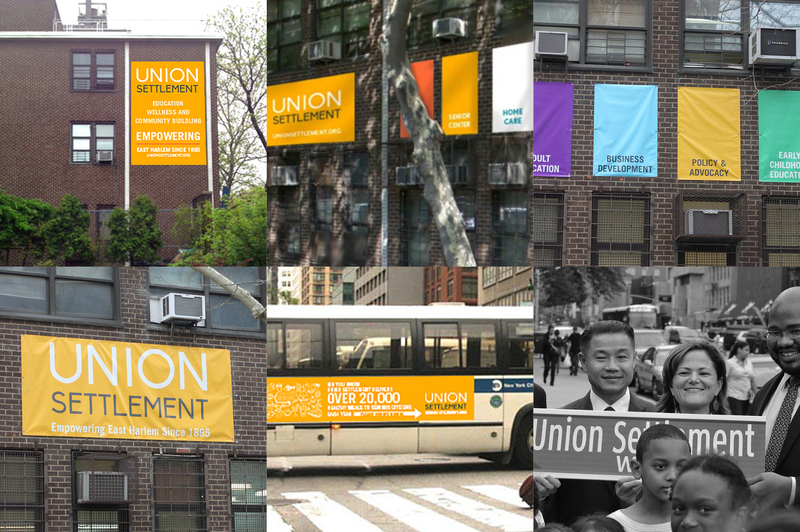 The Results—The rebranding gives this venerable institution a new face to the world that demonstrates its value to a far wider audience and sends a clear message that Union Settlement and East Harlem are on the rise. The new logo is fresh and modern. 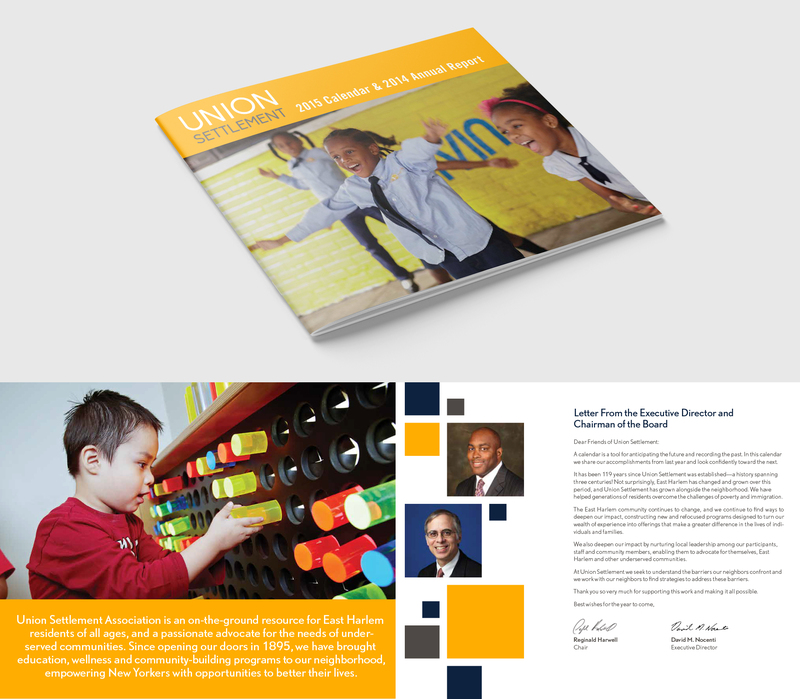 We revamped Union Settlement's annual report design so that the most important information stands out. 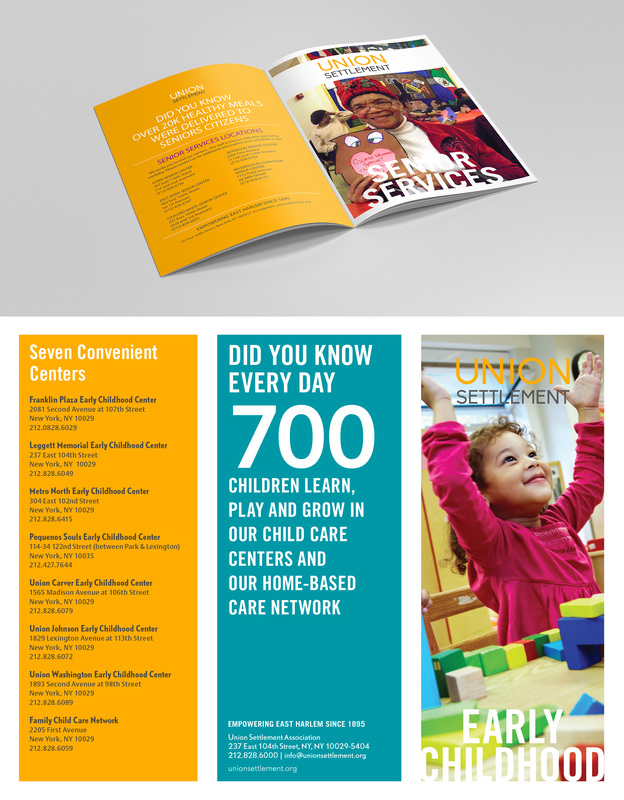 New brochures feature key messages and are easy to navigate. 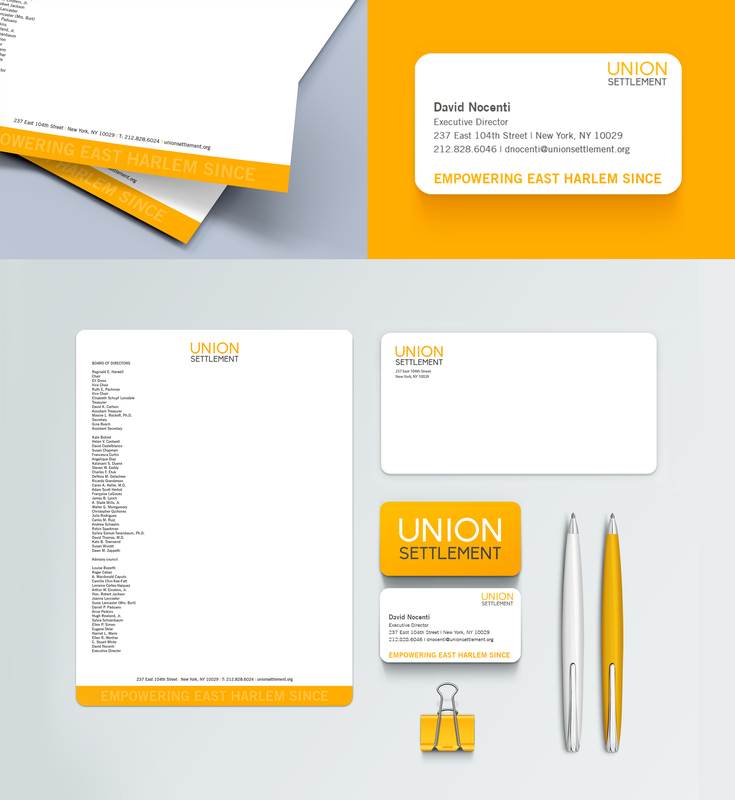 We developed a dynamic image style, harnessing the energy and joy in Union Settlement and the surrounding communities. New signage adorns the community and helps get the word out. We created stationery that is clean and bright. 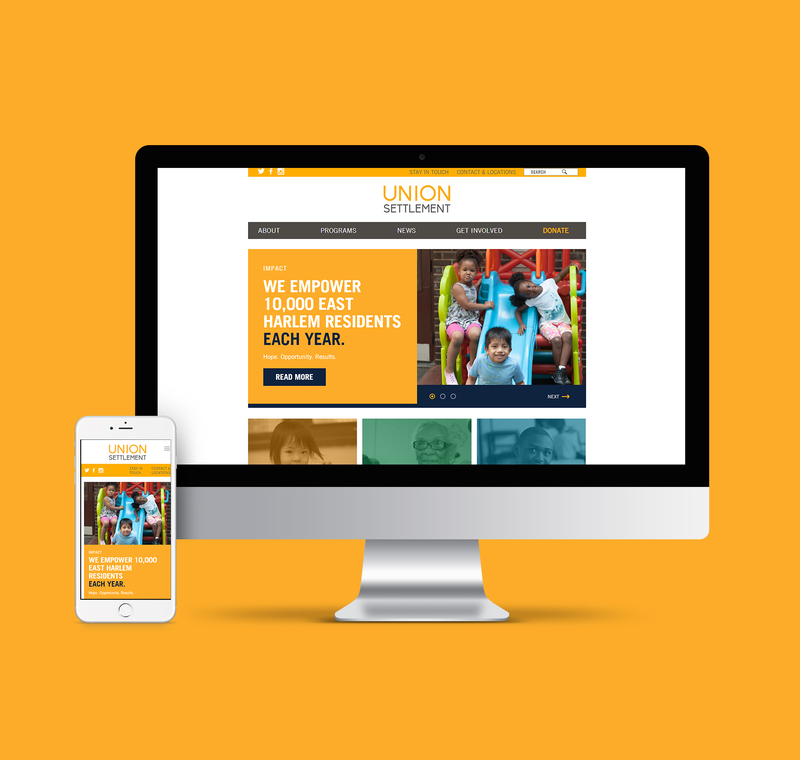 We also designed an engaging, easy to navigate website in order to help establish Union Settlement as the go-to community partner for East Harlem.